Primary purpose of this lecture is to present on Fall of the Roman Empire. Here briefly focus on the Fall of Rome and the beginning of the Middle Ages. 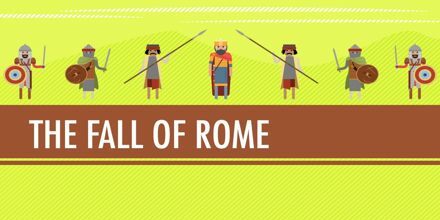 Rome was the most powerful empire the world had ever seen. Its architecture was Hellenistic and its road system was as impressive as that of the Inca in S. America In 476 C.E. Romulus, the last of the Roman emperors in the west, was overthrown by the Germanic leader Odoacer, who became the first Barbarian to rule in Rome. The order that the Roman Empire had brought to western Europe for 1000 years was no more.